Do you need an estate plan? 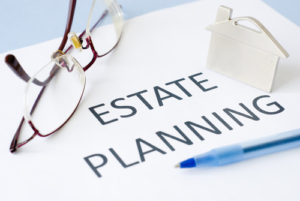 As an estate planning attorney will tell you, establishing a proper estate plan is one of the most important things you can do for yourself and your family during your lifetime. Today we are discussing the top five reasons why you should think about properly planning your estate. Planning your estate doesn’t mean putting your children, your attorney, or your financial advisor in charge of what you own. A properly drawn estate plan allows you to plan for yourself and your loved ones without losing control of your affairs. Although it may not be comfortable to think about, it is important to consider the fact that there may come a time when we need help managing our affairs. A properly drafted estate plan allows you to select the individuals you want to help you – preventing your family from turning to the courts for assistance. For people who pass away without any planning, New York State provides them with an estate plan. Often times, however, New York law does not reflect your true desires. By creating an estate plan, it allows you to transfer your estate to your desired beneficiaries the way you want them to receive it and when you want them to receive it. Perhaps a beneficiary is a minor child, has a disability, or has a creditor problem. By planning your estate, you can protect your loved ones properly. Many people think they are saving money by not creating an estate plan. This could not be further from the truth. When compared to the potential tax consequences, professional fees, and court costs associated with unplanned estates, the money spent on an estate plan can save your family thousands of dollars more after your passing. A proper estate plan goes beyond deciding who receives your property when you pass away. It accounts for the fact that we all may face a situation where we need long term care at home, in an assisted living, or in a nursing home. You worked your entire life to provide for your family. By failing to plan for long term care needs, many are forced to spend their family’s inheritance on long term care costs. There are many planning options exist to protect what you’ve worked so hard for.